United could have always gone back for the winger in the summer transfer window but latest reports from Wales Online indicates that the 21-year-old is in talks over signing a new contract at the club. James has a contract with the Welsh outfit which runs out in 2020, but it seems likely that he would commit to a new long term deal with them soon. Graham Potter himself confirmed that he is talking with the players who came close to leaving in January including James. Leeds United might have to look at other options now if they wanted to try their luck once again in the summer with the winger. It was believed (The Mirror) that United’s Director Of Football had drawn a possible list of wingers which the club could target in January and it was Marcelo Bielsa himself who had handpicked James. It is clear that the Argentine manager is an admirer of the winger, but the Whites might be forced to look at other fishes in the sea in the future. James isn’t exactly having a major breakthrough season with the Swans as he has got just two goals to his name in the entire campaign. 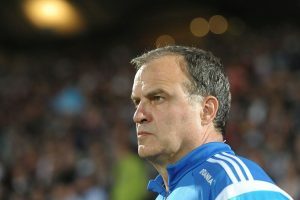 However, his work rate and versatility might have attracted Bielsa. United are currently going through a major slump in form as they have now lost five of their last seven games in all competitions. Injuries and departures have taken a significant toll on the entire squad, and the club missed out on an ideal opportunity to add firepower in January. Ever since the departure of Samuel Saiz, Pablo Hernandez has been shifted to play in central areas. Currently, the wide regions are being occupied by the likes of Jack Harrison, Jack Clarke and Ezgjan Alioski. Harrison and Alioski have been average with their performances on the pitch. Clarke is still in his first senior season so not much can be expected from him right now. Therefore the Whites might have to look for a winger in the future, especially if they get promoted to the Premier League. James would have been a handy addition as he is young and dynamic. However, he is not yet a finished product. The club can look to sign someone more established in the upcoming summer and may be missing out on him can turn out to be a blessing in disguise for them in the future. Leeds United Linked With This Swansea City Winger: Where Does He Fit In For Bielsa? Leeds United Linked With This £2.5m Rated Swansea City Winger: Good Option For Bielsa? Leeds United Linked With A Move For Welsh Sensation: An Answer To Their Attacking Conundrum? Leeds United Bid £10m (£6m Cash+£4m Add Ons) For Swansea Winger: Is He Worth That Much For Bielsa? 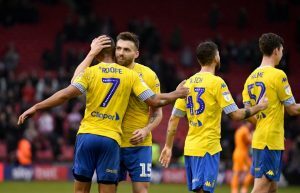 Swansea Reveals Price They Want From Leeds United For Winger: Is He Worth This Much For Bielsa?